This tidy looking Birchwood 33 left Loddon on the Norfolk Broads for a new life down on the Thames at Shepperton Marina. We hope Joanne enjoys her new boat down there. We don’t normally transport yachts but…. Just wanted to say thanks for all your hard work bringing our new project to Shepperton marina Birchwood 33. 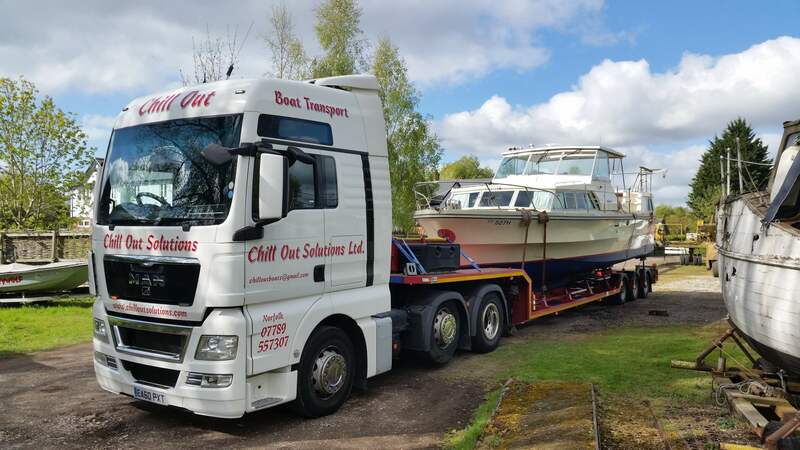 We would recommend your services to anyone transporting a boat. Thanks again.Jo and Lyndon.